Your inquiry has been forwarded to Robinson, Wright & Weymer. David Huntington Gates, age 88, of Clinton passed away on Thursday morning, December 28, 2017 at Yale-New Haven Health, Saint Raphael Campus in New Haven. He was born on November 11, 1929 in Norwalk, the son of Reverend Edmund Jayne Gates and Marjory Covell (Coley) Gates. He attended DeVeaux Episcopal Military School in Niagara Falls, New York and graduated from Syracuse University. David proudly served his country in the United States Air Force during the Korean War. He was employed as a manager and supervisor for Canada Dry in Chicago and later at Chesebrough-Ponds and Unilever in Clinton. David loved being at the beach and golfing, and also had a great love of luxury automobiles. In his retirement he shuttled cars for Toyota throughout the Eastern Seaboard, a position he truly enjoyed. He is survived by his sisters, Mary Huntington Gates, of Florida, and Catharine Whitaker (Gates) Miller, of East Haddam, his brother, Roger Covell Gates and his wife Jill, of Clinton, New York, and 11 nieces and nephews. He also leaves his beloved companion Mack, his black Labrador retriever. David will be remembered by his many friends especially those who saw him on a daily basis at Bill's Seafood in Westbrook. 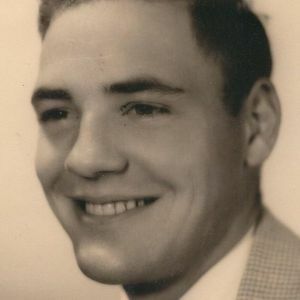 Besides his parents he was predeceased by his brothers, Edmund Jayne Gates, Jr. and Stephen Coley Gates, and his sister, Barbara (Gates) Pattison. A graveside service will be held at a later date in the Willowbrook Cemetery in Westport. In lieu of flowers memorial contributions may be made in David's name to The Connecticut Humane Society, 701 Russell Road, Newington, CT, 06111, The AARP Foundation, P.O. Box 93207, Long Beach, CA 90809-3207, or the Clinton Volunteer Fire Department, 35 East Main Street, Clinton, CT, 06413. To share a memory of David or send a condolence to his family please visit www.rwwfh.com Arrangements by the Robinson, Wright & Weymer Funeral Home in Centerbrook. Rayers amd love are with you. Oh so sorry to hear about Dave's passing. A dear friend, Papa Dave as we called him. He is visiting with Angelo now, and leaves another empty bar stool at Bills Seafood. Please let us know when the service is and if you need any help. I was sorry to learn of Dave's passing. We had enjoyed many a laugh and plenty of fun at The Jetty with my parents, Herman and Loretta, so many years ago now. Of course, our mutual friend, John Robinson, was front and center with us. When John passed away, I kept in touch with Dave for a while. We would reminisce about The Jetty and its people and laugh all over again at our shared memories of those days. It truly was a pleasure to know Dave. My sincere condolences to you all, and I wish you peace and comfort in the New Year.